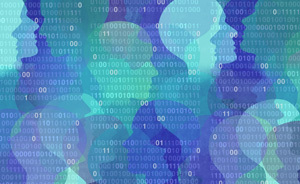 Information about students has become fair game for data brokers, which don't adhere to any protective measures currently in place, according to a new study by Fordham University's Center on Law and Information Policy (CLIP). As "Transparency and the Marketplace for Student Data" reported, lists of student information are widely available for purchase "on the basis of ethnicity, affluence, religion, lifestyle, awkwardness and even a perceived or predicted need for family planning services." Those who trade in student information are governed under no federal privacy law. As a result of the study, suggested the Future of Privacy Forum, the Federal Trade Commission or state attorneys general may choose to pay closer "regulatory attention" to the companies that deal in student data. Or local, state and federal lawmakers may decide to push through new regulations. What's really needed, however, the Forum offered, is a "baseline privacy law in the United States that would provide more consistent protections for all consumers."